Pentru o vizualizare corecta este necesar Adobe Flash Player, Apasa aici pentru instalare. The Mini DisplayPort to HDMI Adapter enable you to connect any HDMI interface embedded device (Monitor, Projector...) with a Mini DisplayPort interface (Desktop, Laptop) and no need to purchase any Mini DisplayPort embedded terminal device. Please check following information before using this product. 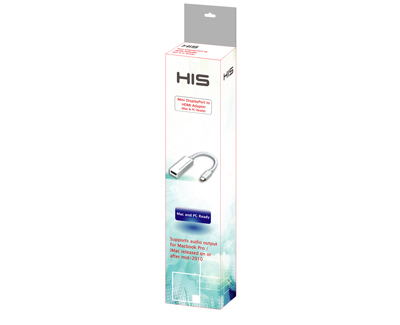 This product is the adapter for connecting Mini DisplayPort to HDMI port. 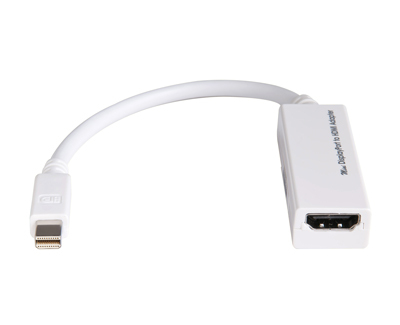 Connect the Mini DisplayPort connector to the source device coordinative port. Then connect the HDMI connector to your terminal device coordinative port as well. 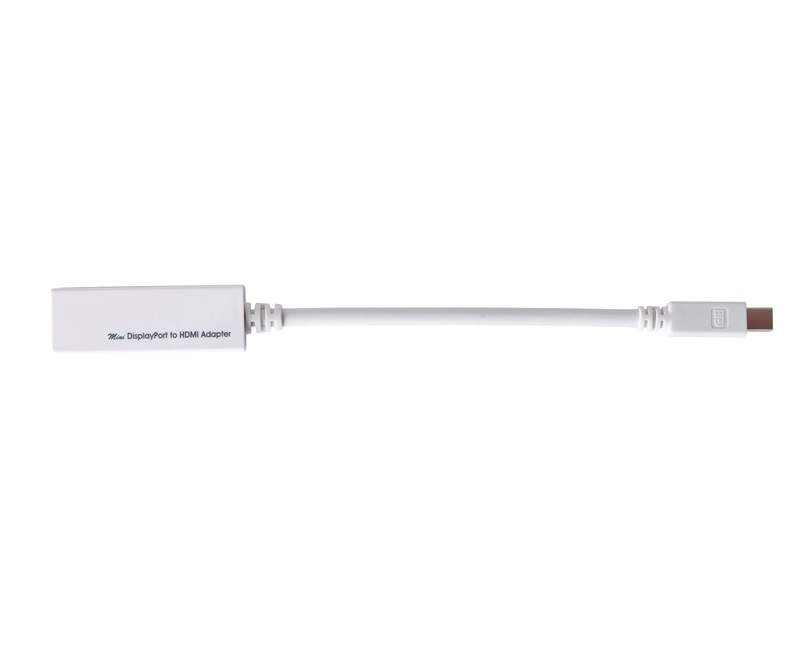 If your terminal device (Monitor, Projector...) has not been connected to the adapter yet, make the connection and power on your terminal device again. This little adaptor is truly worth all the money for it works as advertised. My MacBook has a mini DisplayPort but no HDMI port. When I need to do a presentation with slides, pictures, and video, I simply hook up the large screen LED TV to the mini DisplayPort via this adaptor. My presentation to the group is now painlessly easy. What more can I ask for this little adaptor that functions as advertised? 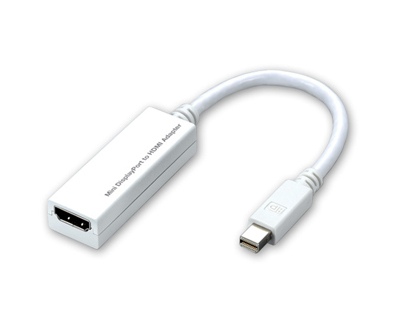 I needed a Mini DisplayPort adapter to connect a laptop to a 1080p projector and I saw this reviewed on a few tech sites. Under $20 and plug 'n play? Why not! It is exactly as advertised. A very small converter with no drivers needed. I plugged everything up and it worked right away. No lag or ghosting, just instantly working powerpoints! 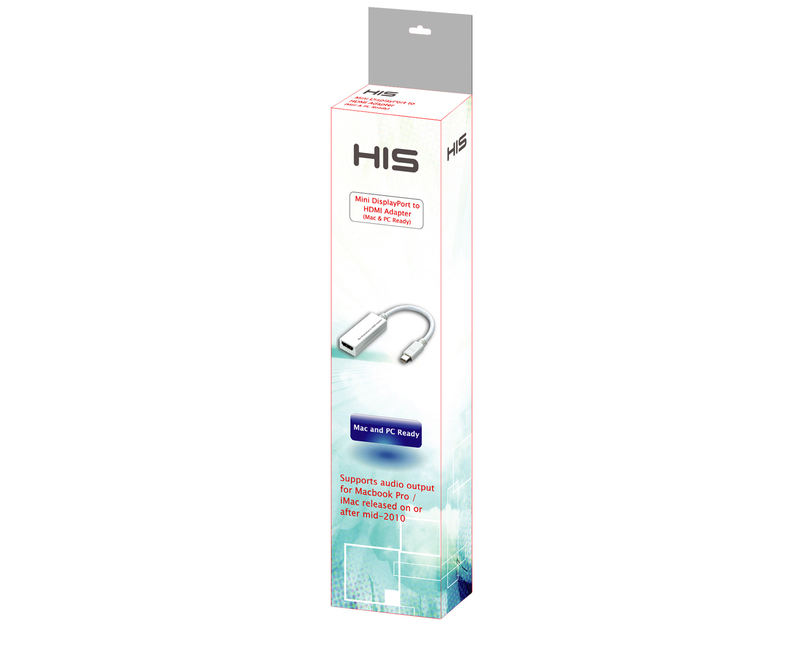 I used this to connect the same laptop to a 27in Hanns-G monitor and it supported 1920x1200 resolution right off the bat, amazing for such an inexpensive little product! An Exceptionally Well-Built and Functionally Capable Adapter. You get what you pay for when you buy an HIS Product. If you would like a full review please check out G3's full review of this very good product on our website. Thank you. "When a trusted brand such as HIS releases a product like this it helps bring some peace of mind to the consumer on which brand to choose. Everything about this adapter is very good. The picture quality was excellent and the audio was exceptional enough. Coming in at a whopping $17.99 it’s not the cheapest adapter available, but you’re mostly paying for the quality of a trusted and dependable brand." Go!GamingGiant "Exceptional Quality Award"